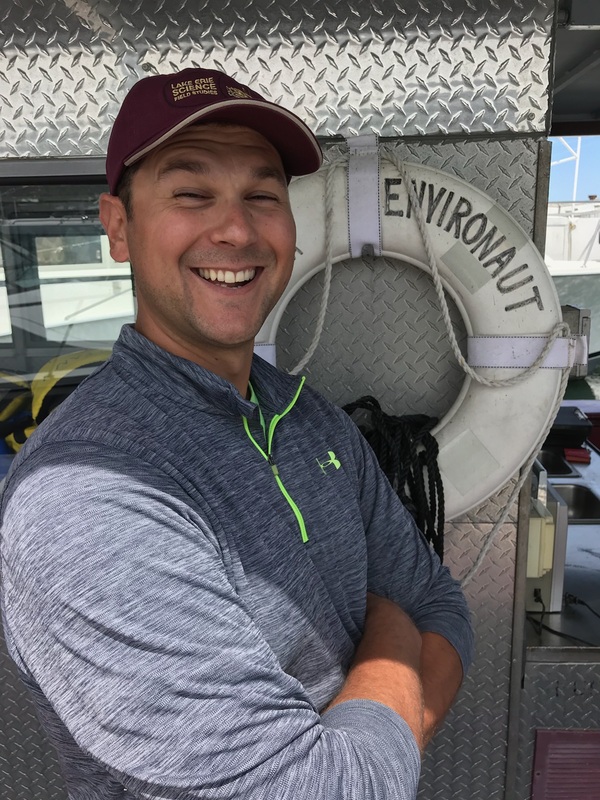 In addition to the shipboard program, David coordinates a variety of educational, underwater robotics, and shipwreck archaeology programs. Lauren is currently a sophomore at Coastal Carolina University, where she is majoring in Marine Science and minoring in French. 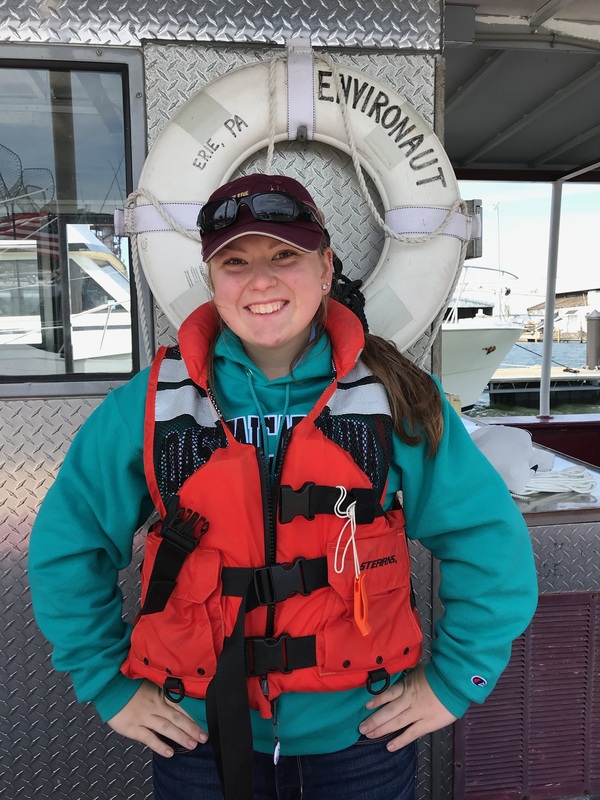 Lauren enjoys being outdoors, and says she sees working with Pennsylvania Sea Grant this summer as a great opportunity to utilize the information she is currently learning in school. After graduating (2021), she plans to work in the field of conservation. 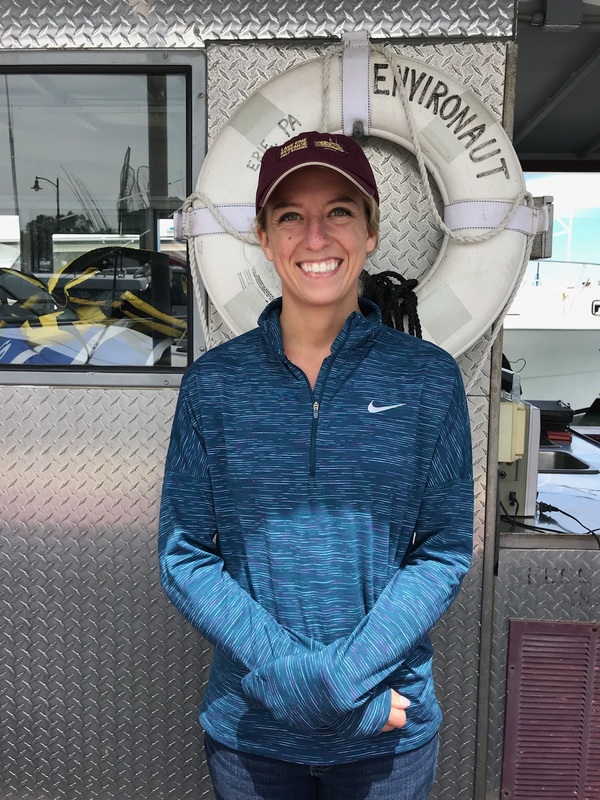 Lauren says, “This is my first time participating in the shipboard education program, and I’m excited to share the information I have learned this past year at school with the students on the boat. 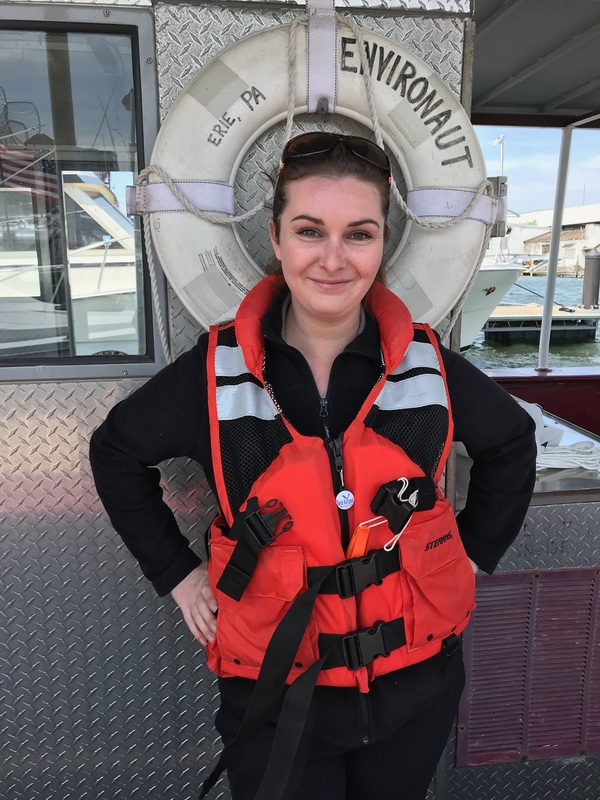 The shipboard education program interested me because I knew I wanted to spend the summer doing something in my field of study, and out on Lake Erie. During the school year, Hannah Evans is a biology and environmental science teacher at Fort LeBoeuf High School in Waterford, PA. She has been teaching in the classroom for seven years, three of which have been spent at LeBoeuf. This will be Hannah’s third season with Pennsylvania Sea Grant’s Lake Erie Shipboard Science Education Program. Hannah shares, “Being an educator can be an incredibly rewarding career. Learning as your students learn is one of the most valuable aspects of teaching and sets the stage to be a life-long learner. Teachers and students face many of the same challenges. Changes in technology have led to a demand for immediacy in the classroom. It is a new age in which students have access to nearly anything they can think of through the internet and using such tools can be distracting, if not focused and honed. “An experience such as a shipboard voyage fosters an appreciation for and understanding of the importance of scientific research. For most students, this happens in their own backyard and gives a new dimension to Lake Erie, and the Great Lakes system as a limited natural resource that needs to be managed with respect and the utmost care. The connections between our daily lives and the dependence on freshwater becomes clear as students sample the murky waters of the lake. Kate graduated from Penn State University in May 2018, with Bachelors of Science degree, with concentrations in biology and chemistry. This is her first experience with the Lake Erie Shipboard Science Education Program. 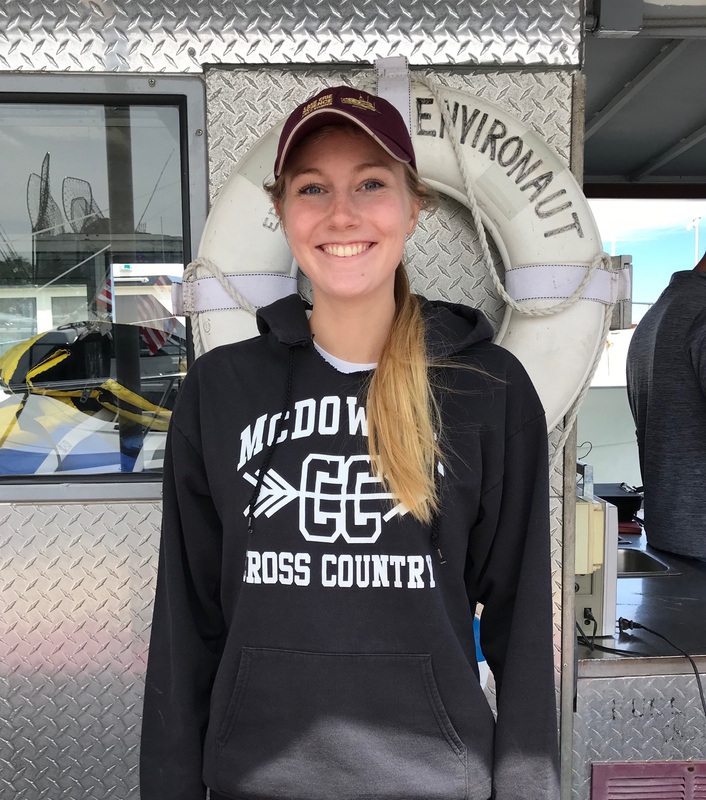 Kate says, “I have always had a love for Presque Isle and Lake Erie, and as a lifelong resident of Erie (except college), I want to help encourage others to see our environment the way I see it, which is with compassion and a vision of preservation. “A hands-on experience really illuminates issues that people might not know even exist. This is my first time in an educational program and it is a fun and interactive way to share information and learn valuable take-home lessons about our environment. I am learning a great deal from this program, including what it means to be an educator. Nate is the Assistant Director for Environment Erie, and also runs Earth Action, an environmental education program offered by Environment Erie. He is also a five-year veteran of the Pennsylvania Sea Grant’s Lake Erie Shipboard Science Education Program! Nate says, “The thing I love most about teaching both students and adults is that I can focus on topics that I am passionate about. I love the outdoors, nature, and the environment and get great joy out of teaching others about it and ways they can help protect it. I think there are a variety of challenges, stigmas, and lack of understanding about the importance of educational programs focused on the environment. When we teach about the environment, we are also instilling an understanding to protect our ever-important natural resources on this planet, so that future generations can enjoy them just as we do. “I enjoy getting on board, as this is a very unique “classroom” and we are able to teach students in a very fun and interactive way. Let’s just say there are good chances of getting wet and muddy all while learning! That does not happen in a typical “box” classroom. This is Carly’s third year participating with the Pennsylvania Sea Grant’s Lake Erie Shipboard Science Education Program. She joined the crew after graduating from Edinboro University with a Bachelors of Science in Environmental Geology. Carly says, “I have always had a passion for research. While at Edinboro University, I really focused my time and studies on looking into human impacts on the environment and geology. One area that I am particularly interested in is the impacts of microplastic pollution, which can be found in the majority of, if not all, natural bodies of water. Shelby is currently finishing her Masters Degree in Education in Middle and Secondary Instruction with a Teachers Certificate in Biology, at Edinboro University. 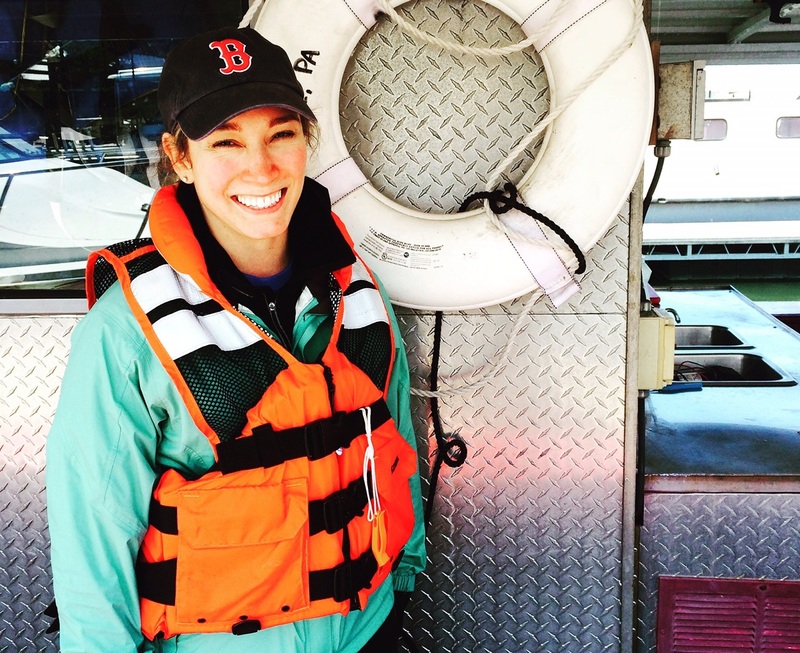 This is Shelby’s first year with Pennsylvania Sea Grant’s Lake Erie Shipboard Science Education Program. She says, “Teaching students is my passion. I love being able to teach in an outdoor setting using application and experience as the biggest tool and strategy around my lessons. 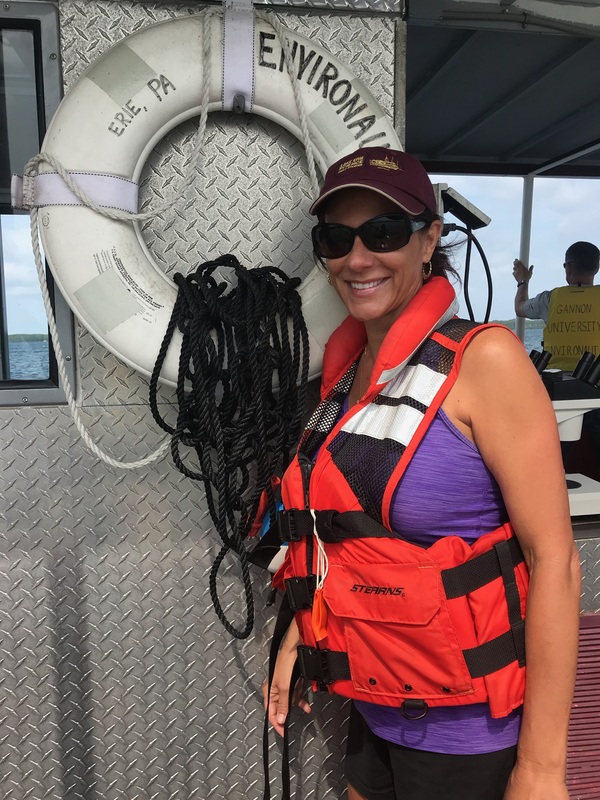 “A program that is hands-on like this one is something I find most desirable in a teaching atmosphere, because it truly connects the how and why of what we are doing on the boat. Being able to work with shipboard education alongside David Boughton has been such a great experience thus far. ro University. She plans to teach High School Biology, and eventually teach at the college level. Karla says, “I am reinventing myself, after being a Pharmacist my entire life! My former classroom was the healthcare environment, teaching my patients about their medical conditions and medicines used to treat them. After being on the medication side of the counter, I decided to follow my love of biology and the study of life. “After I met with David (Boughton), I knew I wanted to be a part of this program. His passion and enthusiasm are contagious. What interested me the most about this program was the opportunity to teach aboard a ship while also learning about our Great Lake Erie. “The best part of teaching on the ship is seeing the excitement in the students! We are teaching the future environmentalists of the world. In order to preserve our Great Lakes and all of our natural resources, students need to learn about them, to become excited about them and to work passionately to ensure their preservation. It is exciting to be outdoors and enjoy nature on our beautiful lake. “As much as technology has opened so many doors to learning, I see a loss in face-to-face communication skills. Emailing and texting have become the selected method of communication for many students, and in the classroom, ipads and websites have replaced notebooks and textbooks. I fear an extreme void in face-to-face communication skills. “The Lake Erie Shipboard Science Education Program helps students to regain those communications skills and move beyond the classroom setting. Hands on activities is one of the best ways to teach science and biology, and for students to really understand and remember what they are seeing and learning.